It's not the first time Werner Herzog has delved into an explosive subject. In 1977, he rushed down to the Caribbean island of Guadeloupe, because he was told that La Soufrière, the island's looming volcano (and also the title of his resultant film), was about to erupt. All its inhabitants fled. But that eruption never happened. Instead, he found three people who stayed behind and ended up talking philosophically about their attitude toward death and their belief system. During another volcano trip in 2006, this time in Mt. Erebus while filming Encounters at the End of the World, a film about Antarctica and its quirky inhabitants, he met enthusiastic young volcanologist Clive Oppenheimer. Even though Mt. Erebus and Oppenheimer never made it into the film, the two men struck up a friendship. After the volcanologist's book Eruptions that Shook the World was published in 2011, they decided to make a film together. This collaboration here is special. Unless the person is his subject, never in Herzog films have I ever seen this kind of rapport before, but Oppenheimer, a Cambridge academic who prefers field work, does the great job being the filmmaker's surrogate. The questions he asks the various subjects here are most definitely Herzogian. It also helps that he is a big fan who is familiar with the filmmaker's filmography. We start in Vanuatu, where the team is looking down at the center of the active volcano. The bright orange of bubbling magma has a hypnotic effect. Herzog's long time cinematographer Peter Zeitlinger too seems having a hard time looking away from it, following its glowing, spewing trajectories over and over. Then we travel to Indonesia's Mt. Sinabung where they narrowly escape a deadly eruption, and then visit Mt. Merapi on Java, one of the most sacred volcanoes to its people. The chief and his son of the tribe, discusses the spiritual implications of living on the slopes of the volcano. The film talks about the pivotal role volcanoes have played in everything from farming, migration and religion. So we find ourselves in an archeological dig in Ethiopia, serendipitously come across a renowned paleoanthropologist Tim White and his team, working on digging up bones of 20,000 year old human, remarkably preserved because of volcanic activity nearby. Oppenheimer helps out, brushing off dirt in Danakil desert, the lowest and the hottest place on earth. We are hoisted over to volcanic island nation of Iceland where national identity is closely co-mingled with volcanoes: Codex Regius, Iceland's most precious posession, an ancient text that tells of a tenth-century volcanic eruption. As we all remember the 2010 eruptions of Eyjafjallajökull volcano that caused massive air travel disruptions. All these surroundings spawned religion and myth making. Then we are in North Korea, on Mt. Paektu; a dormant volcanic mountain with a giant caldera lake. The mountain is the sacred setting for the Korean creation myth and also the communist revolution led by Kim Il-sung, the nation's eternal leader. Herzog places emphasis on how Kim co-opted the symbol of national identity to his own myth making. Mt. Paektu garners little interest outside Korean peninsula but Herzog explains that through Oppenheimer's connections, he jumped on the opportunity to film in North Korea, the most secretive, isolated country in the world. Even though Herzog can't get personal opinions out of North Korean guides and its scientists, he and Oppenheimer gets unprecedented access (I'm sure it took Herzogian persuasion and mind-controlling of his own) into the seldom seen, majestic view of the mountain. We move on to the religion in Vanuatu that centers around American G.I. named John Frum, who will return and bring 'cargos' of prosperity and wealth. Its literal combination of Waiting for Godot/My American Uncle is fascinating and disturbing at the same time. Herzog, once again, demonstrates his unparalleled ability in storytelling, weaving vastly different elements from world over -- music, belief systems, natural phenomena, and contemplates the entire human existence build upon the not-so-permanent ground. It's also not short on Herzogian quotes: "The volcanoes could care less about scurrying roaches or retarded reptiles or what we are doing up here." The Ethiopian desert and North Korea scenes runs a little too long without contributing much, but they showcase Oppenheimer as our very likable guide and a scientist who can explain things in very easy terms. 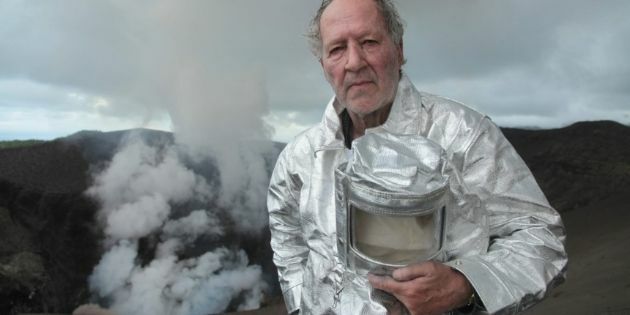 Many of his films have been about man's desire to conquer nature, and failing miserably, Herzog makes a point that however benevolent the volcanic activities are to us, such as creating breathable atmosphere and nutrient rich soil for farming, it might cause the end of the world as we know it. Into the Inferno is yet another entertaining philosophical musing -- the second offering this year, after his Lo, and Behold, Reveries of the Connected World -- from the master storyteller. And I couldn't be happier. Into the Inferno opens in select theaters in New York and Los Angeles on Friday, October 28. 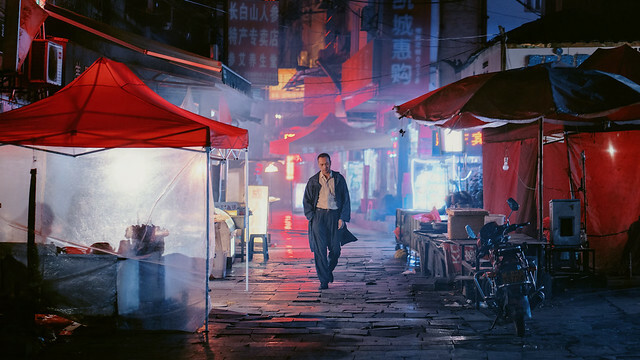 It will also be available to stream on Netflix worldwide on the same day. "this is the best potato salad i've ever tasted"